The Preatures are a five-piece rock band from Sydney, Australia. Fronted by Isabella 'Izzi' Manfredi on vocals and keys, alongside rhythm guitarist Gideon Bensen, lead guitarist Jack Moffitt, Tom Champion on bass, and Luke Davison on drums. The band formed in 2010 after Izzi, Jack and Tom met Gideon at the Lansdowne Hotel where their separate bands were sharing a bill. Luke joined a year later on drums. Their first single 'Take a Card' was released independently in 2012 and quickly became one of the top most played tracks on Triple J that year. In October 2012 they signed with Mercury Records Australia and released the 'Shaking Hands' EP. 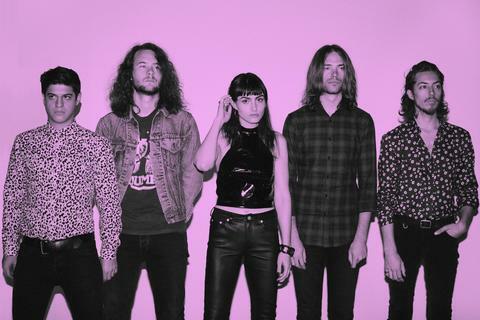 After taking over a space from Sydney electronic outfit Seekae and turning it into a studio they named 'Doldrums', The Preatures began making the second EP themselves. This was done over five weeks in January/February 2013 with Jack Moffitt engineering, producing, and mixing the 5-track record. Lead single 'Is This How You Feel' became a breakthrough hit, earning both popular and critical acclaim in Australia and overseas. Pitchfork called it "groove based confection that explodes into one of the year's best choruses". In August 2013 'Is This How You Feel' won the coveted $50,000 first prize in the Vanda and Young Songwriting Competition. Soon after The Preatures signed with Harvest Records in the US and Virgin EMI in the UK. In October 2013 the band played CMJ in New York and club shows in LA and London. They were featured by the New York Times, Rolling Stone, and singled out by NME as one of the top two acts of CMJ. Their debut album is due out 2014.